If you don’t have a player in your playgroup with a cube, you are missing out on what many feel is the absolute best format in Magic. Even if you’re not going to jump on the hype train of calling it the best, Cube is one of the most varied and customizable formats out there, allowing cube owners to design their own draft environments based on any criteria they want. If you’re unaware, Cube basically breaks down to this: one players brings a pile of several hundred cards (the “cube”) and a group of players draft those cards, build decks, and play games. Most often, there is no more than one copy of each card, but some cube owners do break this rule from time to time. Cube is a simple concept, but by switching up the draft styles, card inclusions, and house rules with each draft, a playgroup can get a ton of varied play from a cube. Putting together a cube is also a hell of a lot of fun. You’re reading an article on MTGPrice, so chances are that you enjoy trading, bargain, hunting, and buying cards at floor prices. Looking at some lists, it might be easy to get discouraged and think that you’ll need to spend thousands of dollars to get a cube into playable shape. On the contrary, you probably have enough cards in your collection right now to build a rudimentary cube and start playing straight away. The fun comes as you start looking through trade binders and bargain bins with an eye specifically targeted toward upgrades for your list. But we’re getting ahead of ourselves. Let’s talk about getting started from scratch. I’ve built a cube from scratch twice in my life, and both times I used a 360-count binder so that I could visualize each section quickly. This is by no means necessary, but I found it helpful in the initial building stages to keep track of exactly how many more playable cards I needed. A 360-card cube is small (the average size is probably 450 to 600, with the biggest going up to and above 720), but it is exactly enough cards to support eight players, and it can be easily expanded later, so it’s a great starting point. These numbers can be adjusted, of course, depending on how much you want to focus on multi- or mono-colored strategies, or push artifacts, or whatever. I’m just giving examples here. Cube is supposed to be about what you want. If you’ve never played Cube before, you might not know which types of cards to include. 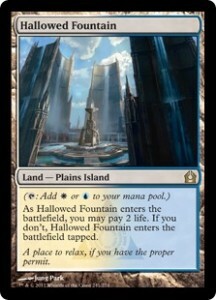 In general, Cube is just like other Magic formats, meaning that the best inclusions are just plain, old good cards. However, if you want some more specific guidance, CubeTutor.com (which I will discuss a bit later) has a section called Average Cubes. These lists are generated by choosing the most popular cards from cubes in the Cube Tutor database. Take a look at the average cube for a 360-card list. Any of these cards currently in your collection can probably go in your binder (unless you don’t want to play with them for whatever reason, which is fine). Be sure and count out the number of cards you have allocated to each section in your binder so that you don’t have to move things around later. Once your binder is full, you’ve got a workable cube. But the fun has only just started. When you want to make an update, having a list allows you to know exactly which cards are in the current build, making replacements easy. Having an online link you can share with other players in advance will help people get an idea of your specific list. If a card or two goes missing, you’ll be able to figure out which one(s). You can easily compare your cube to others, making searching for upgrades easier. As far as keeping a record, a Google spreadsheet is as good an option as any, but I personally use CubeTutor.com. Cube Tutor allows for easy customization and sharing of one’s cube list, and my favorite feature is the visual spoiler mode, which gives an at-a-glance view of the entire cube. It also tracks every change you make, so you can review the history of your cube’s updates over time. It’s a little more effort to update your list than just changing the text in a spreadsheet cell, but I find the benefits to be well worth it. Chances are that you have some pretty bad cards in your initial list. That’s okay. The real joy of Cube is that it scales to the budget you have set aside for it. All-common or common-and-uncommon cubes exist, and starting back in 2013, Andrew Colman did a series for Brainstorm Brewery on building a cube for less than $200. At the other end of the spectrum, some people choose to build their cubes up into their most valuable possessions, in a very literal sense. Between foils, alters, miscuts, Beta power, and all the other ways one might pimp out a list, there are players with cubes worth more than you or I make in a year. That’s a fine aspiration if you’re into it. Personally, I get uneasy when other players handle my more valuable cards, and those are worth nowhere near what some top-tier cards are. But the great thing is that there’s no wrong way to do it. If you want to set a tiny budget, you can. If you want to make it your life’s work to build something worth more than your LGS’s entire inventory, that’s cool, too. The range of cards one can play in a cube is huge. When I’m building a deck or cube or just about anything in Magic, I like to start with the mana base, so let’s start there to give an example of the spectrum of cards one can choose to play. If you’re going for a common-and-uncommon-only cube, these cycles are some of your best options. If you’re willing to include rare dual lands, though, there are lots of other choices. 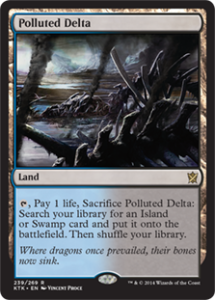 Yes, as you might expect, fetch lands, dual lands, and shock lands are the best of the best dual lands for the Cube format. Who would have thought? It doesn’t stop there if you don’t want it to, though. Be it insanely rare foils are black-bordered Beta versions, you can continue upgrading your cube long past the point where the cards included are optimized for play purposes. For the MTG financier looking for a place to put accrued card value, a cube is a great option and does wonders for focusing your trading efforts. Of course, like I said, I get uneasy with people handling my more expensive cards. The problem is that I want to play with the best cards Magic has to offer. What can we do to get less expensive versions of these cards? The most obvious option to saving a little money is to buy cards in less-than-near-mint condition. Jace, the Mind Sculptor has a Fair Trade Price of $94.12 as of this writing, but there are moderately played copies available as low as $75 on TCGplayer. If you’re not planning to resell these cards, you don’t actually need NM versions, and if somebody damages, loses, or steals a non-NM version of a card, it at least mitigates your losses. In some cases, gold-bordered cards are the way to go. Rishadan Port and Wasteland are fantastic non-basic lands included in most cubes, but they run around $100 and $70 respectively. Gold-bordered versions of these cards, however, cost me about $4 each on eBay. In case you didn’t know, gold-bordered cards are ones that were printed in the World Championship deck series for a number of years. They had different card backs and were illegal for tournament play, but allowed players to have access to some of the top Standard decks each year. You can read up on the history of these decks and see the contents of each one here. Wasteland and Rishadan Port were printed multiple times, which accounts for their relatively cheap gold-bordered versions. Less frequently printed cards from these decks, like Force of Will and Gaea’s Cradle, can run $20 and up. Still, they provide huge discounts on very expensive cards and can somewhat be considered “real” Magic cards. Finally, we come to proxies. A couple months ago, Travis Allen wrote a great piece about the damage proxies can do to card values. I largely agree with Travis’s assertions (and I don’t proxy any cards in Commander, for example), but when it comes to Cube, proxies are virtually essential. If I spent time, money, and effort working my way up to a Black Lotus, I’m not sure I would trust anyone to play with it under any circumstances. Everyone will feel differently on this, of course, but in general, I expect most of us would be fairly uncomfortable with a $4000 piece of cardboard floating around a table and being shuffled by someone who may or may not take reasonable care of it. Proxies are the only way I can feel comfortable playing with some of Magic‘s best cards in my cube, and so I have 20 to 30 of them in my list. Based on how you feel about Travis’s article, your mileage may vary on the use of proxies. If you do use them, though, don’t just write card names on the back of bulk commons. Take the time to make or acquire proxies that actually look good. It will improve your cubing experience immensely. As a player, I love Cube and would rather play it than any other format. As a collector and trader, building a cube has been one of the most challenging, entertaining, and fun experiences in my MTG career. Chasing down just the right trade or bargain price for a card you’ve long been looking to add to your list feels great, and everyone should have the chance to experience it. Actually, I take that back. If everyone builds a cube in your playgroup, then that means nobody’s cube is being played very frequently. So keep that fact in mind. If cubes abound in your area and you would be frustrated with the idea of building one but rarely getting the chance to play with it, you should probably not bother. But if nobody has a cube in your playgroup, it’s about time for you to change that. Previous PostGrinder Finance – The Battle for Zendikar FoilsNext PostAre Standard Mythics Still Good Short-Term Specs? love using cube tutor. its and amazing tool for building a cube and is always being updated. You can do mock drafts of your cube to see if different archetypes are playable and it will even price out how much your cube will cost/is worth. it gives lists to see what is being drafted most often and what is never being picked so you can drop bad crads from your list and replace them with better stuff. It has so many ways to analyse the cards in your list that making it balanced is a lot easier (and fun!). there is nothing better than finding ways of fitting in old forgotten rares designed for limited formats that people havent seen or heard of before. awesome timing! I just started my adventure to build a 93/94 cube but am going to build a 360 card cube with the goal of getting to a 540 card cube so the power level is a bit lower in the end but creating more archetypes and themes. I’ve been thinking about building a Cube recently and this gives me some good ideas. Just built a 360 card cube. Cube tutor is essential. You’d be a fool not to use it. And as far as the trading for desirable cube cards. It’s made trading a much more goal orientated experience. Case in point traded two cards from prerelease for cube cards both straight up. Despite a terrible prerelease attempt at landfall I walked away happy. Also, you’re right about the fun of cube being upgrading it. After all it turns out no one in their right mind wants to play diabolic revelation in a 40 card format. Lastly an update on my prerelease expedition pulls. 55 players, only an arid mesa was pulled from prerelease packs. However out of the three boxes for price support; two had an expedition. Misty rainforest and another arid mesa. Shop paid 175 cash for mesa and 100 cash for mesa.